Programs are free services available to assist families in need. 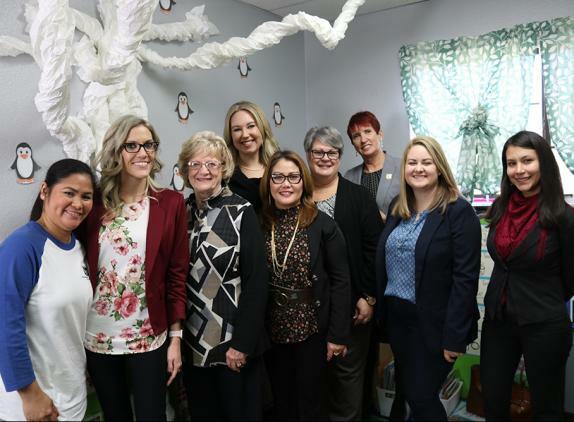 LAS VEGAS – United Way of Southern Nevada is proud to announce the fourteen nonprofits receiving federal funds through the Emergency Food and Shelter Program (EFSP). Organizations received funding to help families in need through food, housing and utility assistance. Families in the communities of Clark County and Las Vegas can benefit and gain access to free services to help alleviate the stress of expenses while experiencing crisis situations. Providing a food pantry, served meals and mass shelter options. Providing hotel, motel, rent and mortgage assistance. Providing a food pantry and hotel, motel, rent, mortgage and utility assistance. Providing a food pantry and hotel, motel, rent and mortgage assistance. Providing served meals and mass shelter options. Providing a food pantry, served meals and hotel, motel, rent, mortgage and utility assistance. Providing rent and mortgage assistance. A Local Board made up of local government, non-profit organizations and United Way of Southern Nevada determined how the funds awarded to Clark County were distributed among the emergency food and shelter programs run by local service agencies in the area. The Local Board is responsible for recommending agencies to receive these funds and any additional funds made available under this phase of the program. For more information and to access free help, visit uwsn.org/gethelp. To learn more or schedule an interview, please contact Laurie Mann at 702-892-2362 or LaurieM@uwsn.org.